GIVEAWAY! 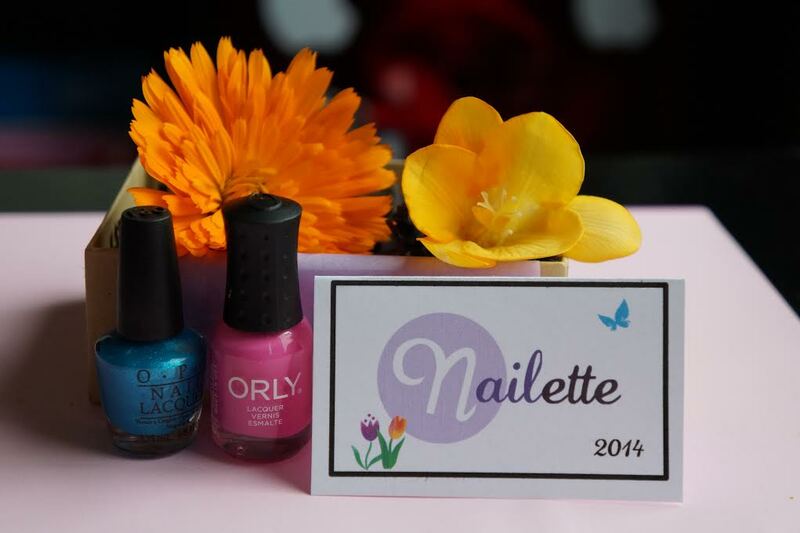 Win a 3-month Subscription to Nailette, the Polish-Minis Subscription Box! For $9.99 a month (including shipping), a Nailette subscription delivers two mini bottles of Essie, OPI or Orly...all from new or recent seasonal collections. Each mini bottle lasts for 8-12 applications (you may get less depending on nail length, application, etc. ), so they're perfect for test driving a shade or for wearing a season of weekend manis while the color is on trend. When you subscribe, you indicate your skin tone (light, medium or dark) and choose from three style categories: Simple & Subtle, Sophisticated & Sassy, or Bold & Edgy...or you can choose to "Mix it Up". Nailette experts will pick the best colors for your skin tone and style. Here's a sampling of colors and style categories (click to enlarge). You can choose to receive a box every month or every other month. Shipping is always FREE and subscriptions can be canceled any time. Gift subscriptions are also available. For more information, visit nailette.com or follow Nailette on Twitter, Facebook and Instagram! So are you dying to try it?! Nailette is graciously providing one winner a three-month subscription! The winner will be contacted by Nailette for their skin tone and style category choices so the boxes are customized for them. Prize boxes will ship directly from Nailette to anywhere in the Continental U.S. Enter via Rafflecopter below and be sure to read the Official Rules. Good Luck!